Versadry™ waterproof aluminum decking is unlike other waterproof aluminum systems that lock together creating a continuous dry seal at the very top requiring water to flow off the deck edges. Although the majority of the water may run off during a heavy rain, much is left on the deck surface in the form of large puddles. These puddles can take days to dry up. 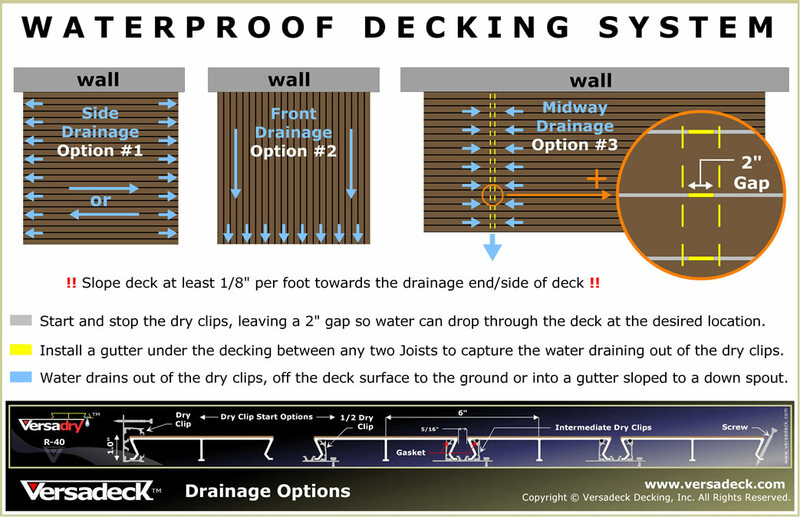 The Versadry™ watertight system allows the water to run into the dry clip channels first allowing the deck surface to drain and dry quickly. The water then flows through these channels and off the deck rim edge into a gutter. Versadry™ eliminates the need to squeegee water off the deck every time it rains. 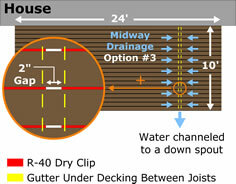 No need to squeegee means low maintenance and a safer slip resistant deck surface with an under deck dry space below. 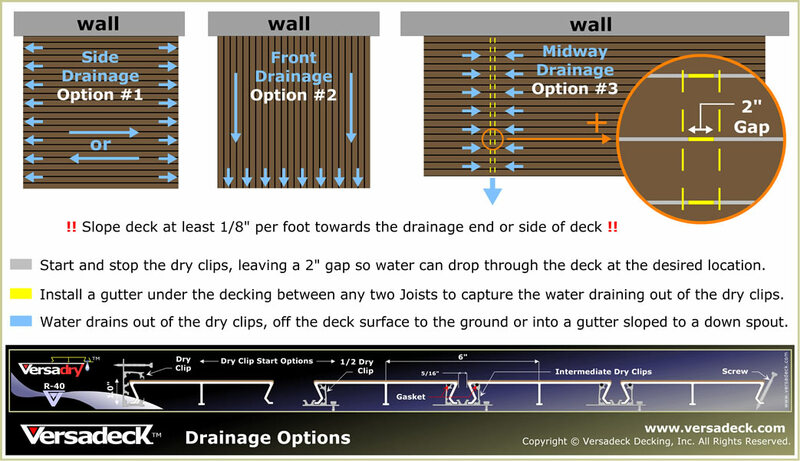 The Versadry™ two piece waterproof aluminum decking system creates drainage and water flow options. The water can be directed to flow to the end of the deck or into gutters that can be located anywhere midway throughout the deck area. 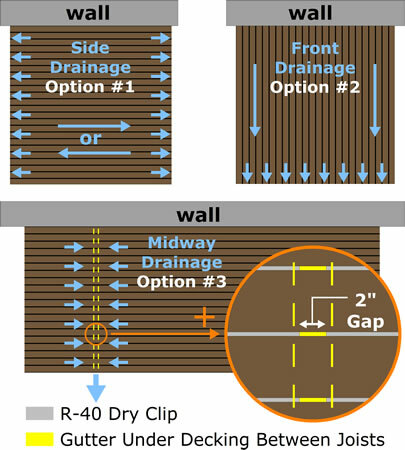 The midway gutter can be installed anywhere between two joists by simply stopping and starting the Dry Clip channel leaving a two inch gap for the water to drop through. The water can then drop into a gutter that can be installed to the bottom of the decking running parallel between the joists. You can also omit the Dry Clip altogether in an area where the deck does not need to be waterproof. These options can all be performed with out splicing the planks. The result is a continuous constant plank look from above with a roof deck dry space below with the water draining to a specific location.